Heavy duty soft rubber casing. Every 1/8" marked. Metric and imperial markings. Manufactured to EC class II accuracy. 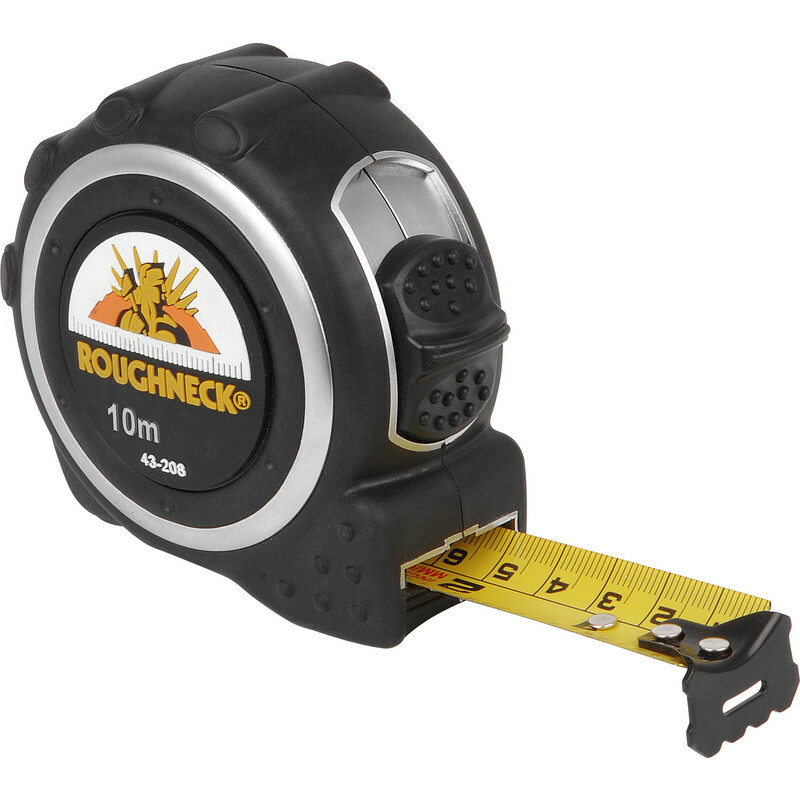 Roughneck Pro Tape Measure 10m is rated 4.4 out of 5 by 15. 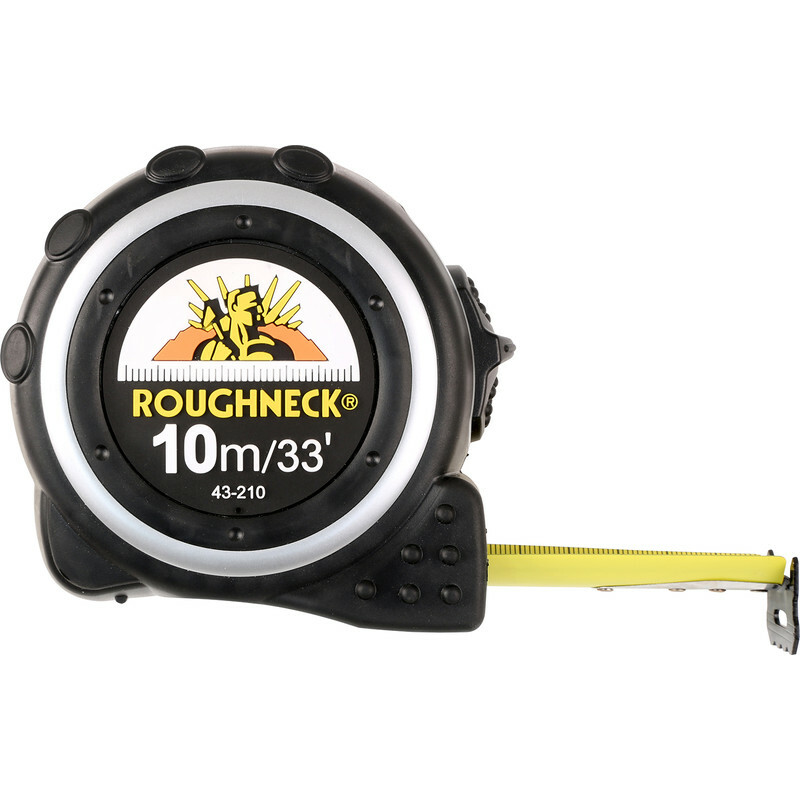 Rated 5 out of 5 by jimbing from Roughneck 3m Tape Measure Great little tape to carry round in you're pocket for those smaller jobs. Rated 5 out of 5 by tough on rubbish from Good quality Nice and tough. It has outlasted several other manufacturers tapes some more expensive then this item. Rated 5 out of 5 by Anonymous from Nice and sturdy This is the second one I've bought, like the feel of it, not too big and clumsy either. Long enough for my everyday work.